Looking to install a pool in your home this summer? A swimming pool can be a fantastic and value-adding inclusion in any home, providing a great place where families and friends can relax, enjoy time together and splash about to keep active in summer. But not so fast: If you’re planning to invest in a pool, you’ll also need sturdy pool fencing to make sure your pool ticks the correct boxes when it comes to pool safety. 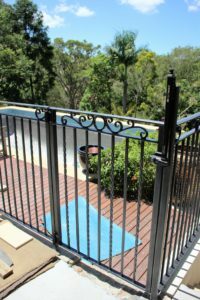 In this article, we’ll explore the reasons for installing a pool fence, the pool fencing regulations that apply in Queensland, and offer four stunning pool fencing designs to inspire you. Why do I need pool fencing? Pool safety is of paramount importance for any family. The main objective of pool fencing is to keep young children from entering the pool unsupervised and reduce potential tragedies such as drowning. 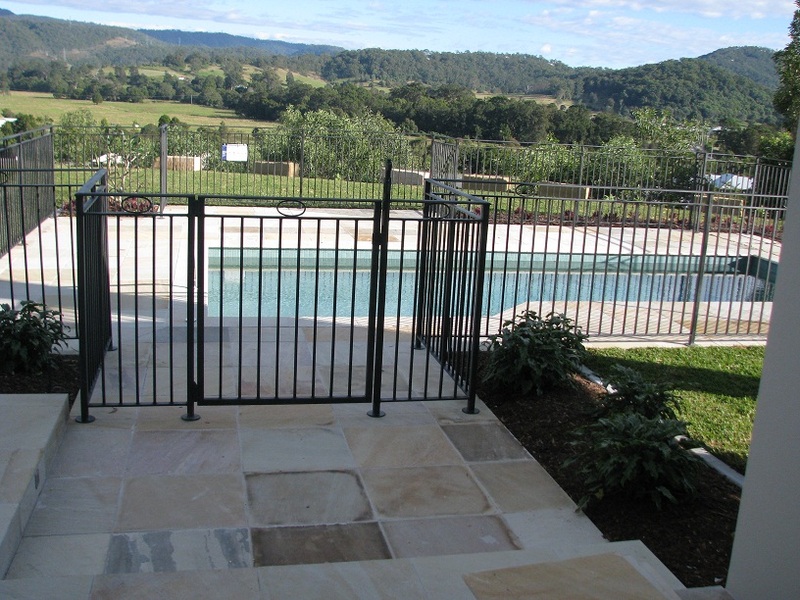 Installing a swimming pool fence around your pool is legally required by Australian law. Australian swimming pool owners must also register their swimming pool with their local council registrar. People who do not register their pools are vulnerable to on-the-spot fines or court penalties. In a bid to reduce the high number of swimming pool accidents that occur nationwide each year, the Australian government unrolled new legislation surrounding pool fencing. 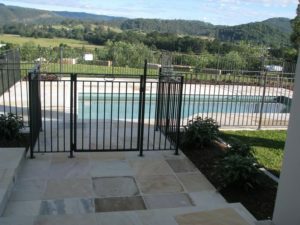 Here are the pool fencing rules that apply across Australia, and simple ways you can make sure your pool meets these requirements. 1. Pool fences must be made from a durable material. To meet this requirement, we recommend selecting a strong material such as wrought iron, glass or aluminium. 2. Pool fencing must be well-maintained, without gaps, holes or damage. We recommend choosing a low maintenance material that can weather the elements. If your fence falls into disrepair, contacting a fence repair service as soon as possible to fix any damage. 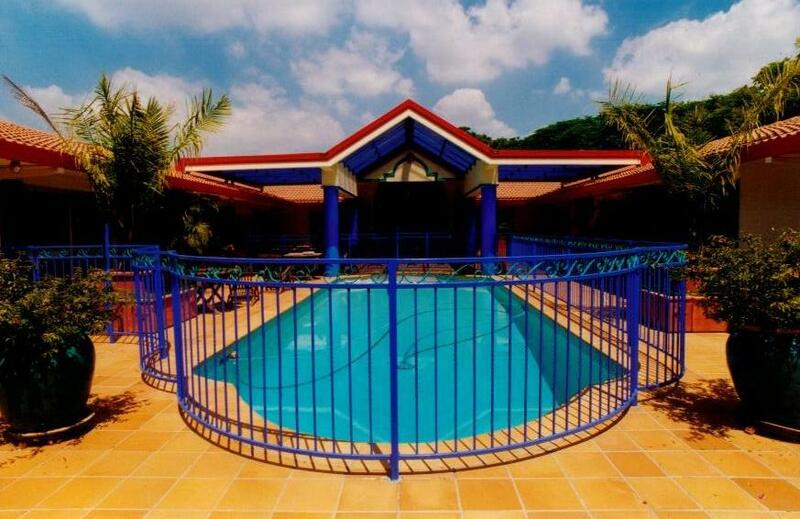 When measured from the outside, the pool fencing must achieve a minimum height of 1.2 metres. Any boundary fences that make up the pool fence must be at least 1.8 metres high. Your pool must be fitted with a self-closing, self-latching gate that swings outwards away from the pool. The latch for your pool gate must be child-resisted and mounted at least 1.5 metres high such that a child is not able to reach over to open it by themselves. Your pool area must not have any objects that a child can climb, such as a tree or outdoor furniture, within 90 centimetres of the pool fence. This stylish pool fence, painted in a stunning blue to complement the trim of the house’s gables and patio posts, is both eye-catching and functional. It uses a beautiful spiral pattern along the top of the fence to create a visual flow for the eye to follow. An infinity pool is a statement within itself, so for this style of pool, we recommend choosing a simple modern style. 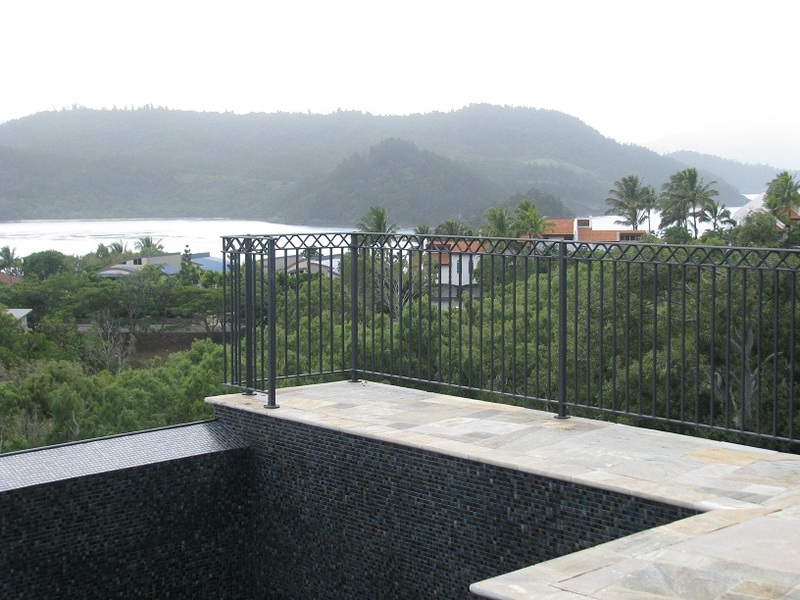 This pool fence uses wrought iron to create a subtle yet sophisticated statement. Choosing black to complement the tiles of the infinity pool and the smooth marble-like finish of the platform creates a luxurious feel. If you have an infinity pool, we recommend designing your pool fence to have clean, contemporary lines to give it a feeling of elegance. A simple, repeated infinity symbol along the top of the fence adds an extra subtle touch. This simple black pool fence offers classic style. Featuring a single oval in the centre of the gate and along the top of each panel, the fence looks clean and elegant. This stunning pool fencing features an ornate spiral and circle combination on the gate, with subtle spirals in the corners of each top panel of the fence itself. This flowing style contrasts beautifully with the structured lines. If you’re seeking a pool fence to match your style of pool or the design of your home, we can guarantee there is a beautiful and functional pool fence design to suit your tastes. Purchasing a well-crafted pool fence will help keep your family safe and ensure you meet Queensland pool safety regulations, while adding style to your home. The team at Dean Wilson Iron has expertise in all types of pool fencing design and installation. Check out the online gallery for inspiration, or talk to a consultant about your fencing vision.